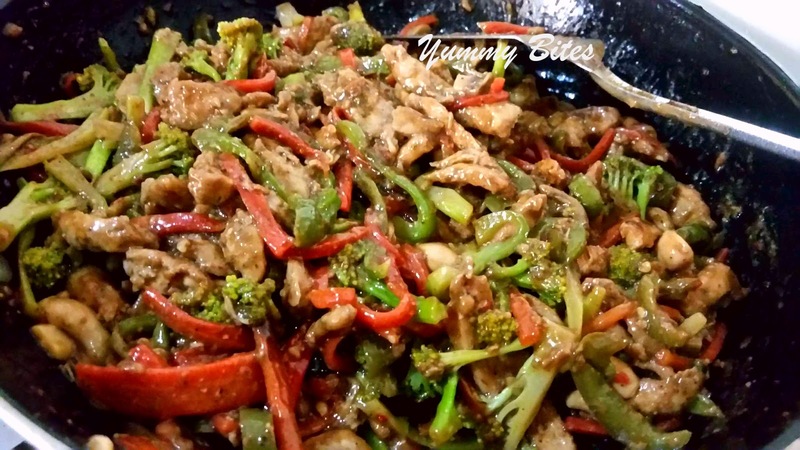 This Easy and Delicious Chicken Stir Fry is a great way to get in a ton of veggies into a weeknight supper. Serve it over top of fried or boiled rice for tons of fiber! 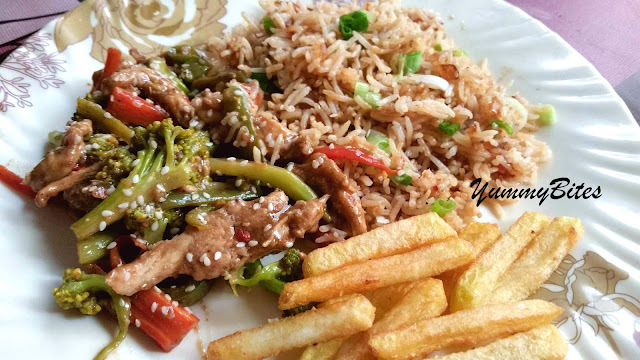 You can easily replace the chicken with beef and can enjoy beef stir fry with same recipes. Mix all ingredient enlisted under marinade. Add the mixture to the chicken and let it rest in cool place for 2 hours. Mix the corn floor and 1 egg white lightly beaten to the marinated chicken and mix well. Heat the oil in wok or deep pan and fry the chicken to light golden. Fry in batches if you have small pan, drain and set aside. 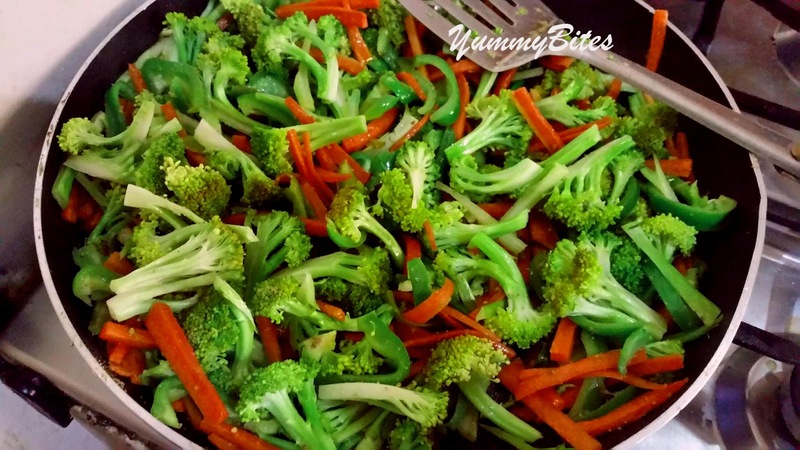 Heat the oil in frying pan and carrots and green beans together and satue for few minutes. Add broccoli and capsicum and continue cooking. then add mushrooms too and stir all together. Meanwhile, in an other pan heat the chicken stock and all ingredients in it except for the cornstarch. Bring to boil and pour the liquid cornstarch in it while stiring the chicken stock. Cook for few minutes and bring to boil. Add the vegetables and chicken to the cooked sauce and mix to coat everything in it. Let it simmer for 2 minutes. Sprinkle sesame seeds. Serve hot with fried rice, boiled rice or freshly boiled rice noodles.